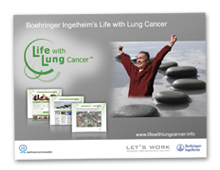 LifewithLungCancer.info (LwLC) was launched in May 2012 as an interactive platform to help patients and their caregivers cope with a lung cancer diagnosis. LwLC is unique: embodying a holistic approach to connecting with patients, while also addressing caregivers and loved ones who may also be suffering alongside the patient. LwLC recognises that due to the poor prognosis associated with lung cancer, the site needs to provide social and emotional support alongside cancer facts and treatment information. 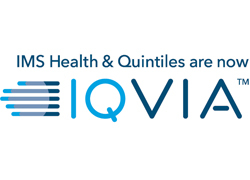 The website has a calm and serene quality, providing tools that encourage positive, psychosocial coping strategies, as well as information from medical experts. Keeping users of all technological abilities in mind, LwLC contains a video avatar guiding the user through the site, and video clips of experts answering all the relevant questions patients have regarding lung cancer. LwLC provides users with the opportunity to share their feelings and emotions as well as linking to social media sites. Patient Advocacy Groups have provided intense guidance and evaluation throughout all stages of development of LwLC. The result is a highly appreciated patient website, with LwLC providing answers to the most pressing questions, as well as a safe space to share and connect in a meaningful way. This work for people in a hopeless situation was emotionally engaging and improved the empowerment of patients. Feedback showed that patients found it very helpful. They achieved everything they set out to do and provided very specific forms of support to lung cancer patients and their carers.